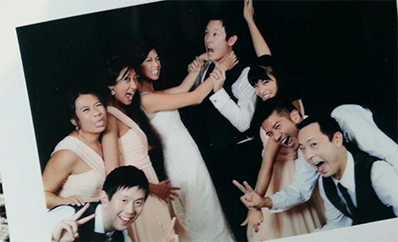 Merged family weddings are always vibrant and fun. Kids, (no matter what age) brings in surprises and this one was no different. I seem to specialise in them now with other celebrants pointing them my way. I was very glad to be a part of this family’s special day. What a great looking family! Leanne & Mark don’t look a day over 35! Surrounded by their great looking, multi-talented bunch of kid! If you want a Marriage Ceremony with personal meaning to celebrate the most amazing day of your life, please go no further. Mona gives not just yourselves a personal service, but to your guests as well. We were delighted to have Mona unite our two families with our 6 children together into our ceremony with passion and heart. Even our guests gasped with the warmth and love that everyone shared on our amazing day of becoming one. Mona is a beautiful person, that delivers a service with passion you and your guests will come away feeling honoured on how she delivers a wedding ceremony that you and your guests will never forget. 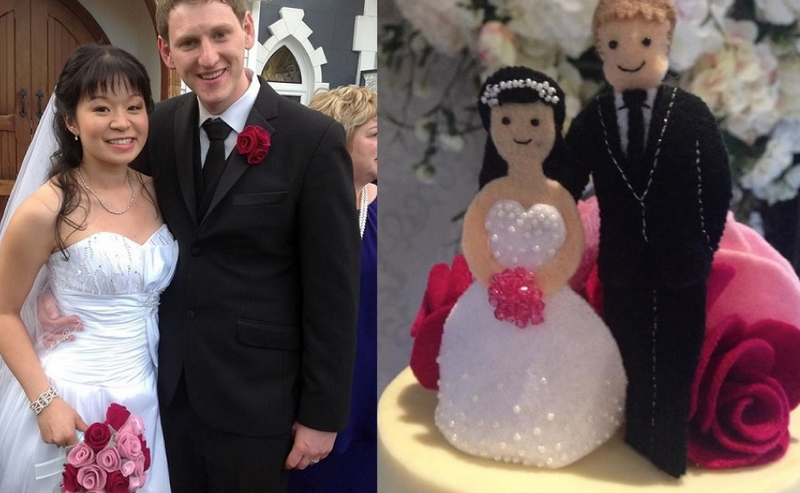 Testimony from Liz & Ben Lovelock – the talented bride made the felt cake bride & groom topper and her felt flowers herself! I love them!!! How cute is this couple? (The real one and the felt one). She sells them too so let me know if you want to buy it for someone! Ben and I would like to thank you for the beautiful ceremony you put together for us yesterday. Our ceremony was more special than what we could have hoped for, and with your eloquence and friendly manner, you expressed our thoughts and feelings more beautifully than the two of us could have! Our parents were especially moved by the ceremony and I am really thankful that you were there to look after us when we were all so overcome by emotion. Thank you also for thinking of the little things, like providing the cushions for kneeling and making sure I had tissues after crying. You are wonderful Mona, and I am sure that many of our relatives and friends will be asking for your contact details when they are planning their weddings. Henry and I are truly honoured to have had you as part of our special day. The ceremony you conducted was so unique and personalised. It was one of my favourite moments for the entire day. The readings you did were so emotional and entertaining. I don’t think there was a dry eye at the ceremony. You helped us express our love to our family and each other which we’d never have the courage to do. We received so many compliments on your work, even one month on from our big day, we are still hearing how amazing you were. We’d definitely recommend you all our family and friends. Thank you again. You were truly amazing! 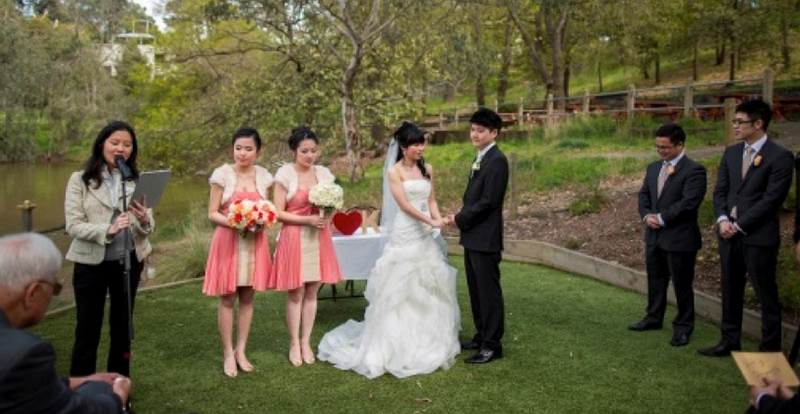 Our celebrant Mona, was the best thing about our wedding ceremony. Everyone is still raving and commenting on how beautiful the ceremony was being so personalized and unique. The letters that she put together about us, to our parents is truly a wonderful idea and the way Mona read them with such emotion, there were tissues and happy tears everywhere with everyone being touched at how the parents were able to be acknowledged. She made the whole process so much more easier for us putting everyone at ease, very professional and efficient yet her presence is warm and she is always smiling! She guided us throughout and leading up to the big day, she really was the highlight of our whole wedding day. She is amazing. I have had many enquiries about her from my friends wanting her for their own wedding ceremonies straight away after seeing her! She provided such a beautiful emotion filled service for us and we cannot thank her enough for everything she did. Mona you really have a good thing going! Love always Yee Ling and Ben. Another surprise testimonial from a videographer who purposely hunted me down to give me a few encouraging words and his video link! Thank you for such a heartfelt testimonial from this inspiring family. Peter, who had a privileged life growing up in Hawthorn, after many life experiences led him to create and bring up his family in Cambodia where he found true kindness and happiness. Along with Anie who faced life’s challenges with gentle strength and determination, I was honoured to have gotten to know this family and be a part of their special day. They have taught me values I will remember for life. As I mentioned before, I’ve always considered myself very lucky. Finding you through the internet was just another example. 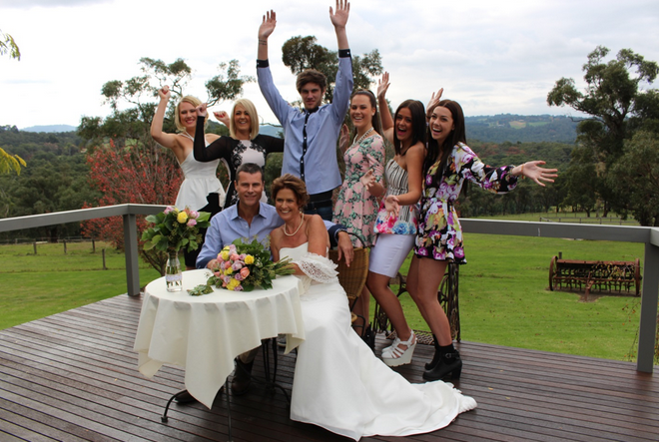 A number of our guests commented that it was the most beautiful wedding they had ever been to. Perhaps I’m biased but I have to agree !!! The way you were able to entertain the guests while still keeping Anie involved was much appreciated. Thanks to your relaxed, easy-going nature, Anie and I had the best day of our lives so far. A very sweet testimonial from Kiti & Steven who purposely changed their ceremony to the morning because I had a booking already in the afternoon. I’m glad I didn’t disappoint them! They were blessed with perfect weather at one of my favourite locations, Fairfield Boathouse. “Mona is a very kind and loving soul! It was pretty much the icing on our cake to have Mona be our celebrant for our wedding! 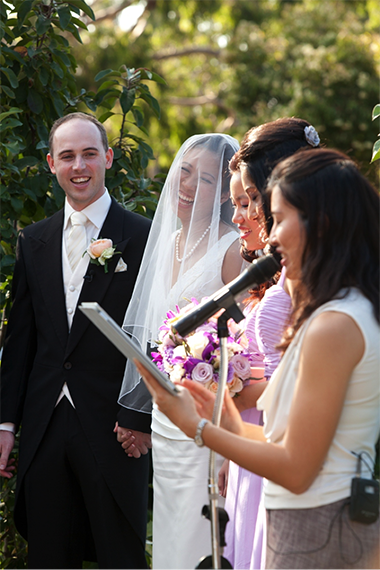 Her own style of conducting the ceremony was what attracted us to her as well as being able to speak Cantonese. The bilingual ability of Mona meant that our ceremony was personal and could be shared with all our family and friends especially with those who understand little English. The way you spoke and your translation of our letters meant that there was not one dry eye in the crowd. Wow, what an amazing wedding! We just wanted to send you a quick email to let you know how much we enjoyed working with you for the Wedding of Hannah and Chris. It was a great day and we really appreciated working with professional wedding vendor partners like yourself. They got such a nice day, and the ceremony was so reflective of that, I personally enjoyed the touching letters that you read out for the ceremony which I’m sure they’ll treasure for many many years to come. Thank you for also being so facilitating of the photography and videography, it’s so refreshing to work with something who realises we’re also hired by the couple to do a job, we’ll have no hesitation in recommending you to any of our future clients. Thank you once again and I hope you have a wonderful day. Please accept our deepest gratitude and thanks for being our wedding celebrant. I cannot thank you enough for the wonderful ceremony that you conducted. It was as perfect as we could have wished. Many of our guests said that the ceremony was beautiful. They remarked on how it was personal, touching and warm. One guest thought you must surely be an old friend to have tailored the ceremony so personally by including our letters and friend’s comments. Another said it was the most beautiful ceremony they had attended. One guest was so impressed that she asked me for your contact for her future reference and her own wedding plans. 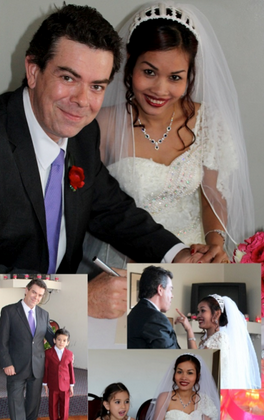 We have just returned from our honeymoon and wanted to let you know how pleased we are with our wedding ceremony. We are grateful that you could be a part of our special day. Thank you. We are more than happy if you wish to use our testimony for your future work as we would not hesitate to recommend you as an excellent wedding celebrant. 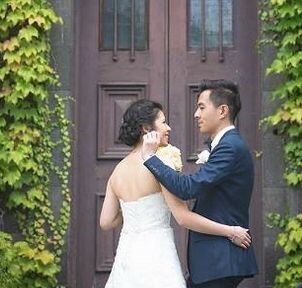 Testimonial from a very excited couple when they found out I could conduct the whole ceremony in Chinese. They were blessed with beautiful sunny weather. 提早和你说声: Merry Christmas and Happy New Year!! !